Will your favorites go home Emmy winners? Make your picks here for 2017 Emmy winners, then save and share on Facebook and Twitter. Once the winners are announced, check back and see how you did. Will your favorites go home Emmy winners? Make your picks here for 2016 Emmy winners, then save and share on Facebook and Twitter. Once the winners are announced, check back and see how you did. Will your favorites take home a Grammy? Fill out the ballot below and see the winners announced Feb. 15 at the 58th Grammy Awards. How many will you get right? Who do you think deserves to walk away with an Emmy? Make your picks here for 2015 Emmy winners, then save and share on Facebook and Twitter. Once the winners are announced, check back and see how you did. Will your favorites take home a Grammy? Fill out the ballot below and see the winners announced Jan. 26 at the 56th Grammy Awards. How many will you get right? 'Breaking Bad' took home the Emmy for drama, and 'Modern Family' clinched the comedy award. How did your favorite shows fare? Check the results of the 2013 Emmys below. If you take into account Los Angeles’ superb produce, its breathtaking diversity and its imagination, it can be one of the most pleasurable places to eat on Earth. 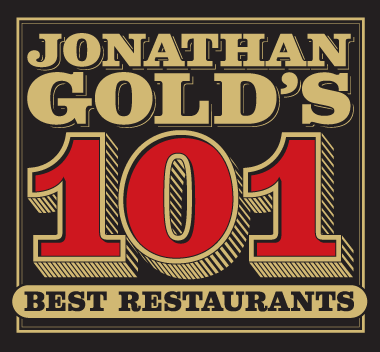 The list below is a ranking of the best restaurants. Did your favorites take home a Grammy? Check out the ballot below to see the winners announced Feb. 10 at the 55th Grammy Awards. If you filled the ballot out ahead of the announcements, see how many you got right.